Do you want the best possible dental care for your kids? Are you on the hunt for kids dentist in Coral Springs? If so, you’ve come to the right place. Coral Springs Dental Center is the leading pediatric dental center in Coral Springs and surrounding areas. 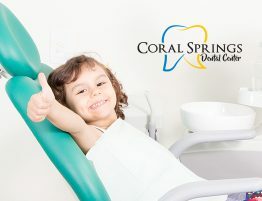 At Coral Springs Dental Center we take the oral health of our young patients seriously and focus on preventive care to help your children grow a healthy and beautiful smile. Click here to visit our website and learn more about our services. 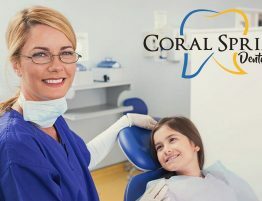 At Coral Springs Dental Center our pediatric dentists are trained in the most advanced dental technologies and have been educated in child psychology and behavior management. This helps a pediatric dentist understand children and help them feel comfortable and relaxed during their dental visits. We know it may be difficult to create time to visit a kids dentist in Coral Springs, but it is important your children visit a pediatric dentist twice a year as this will help your children maintain a positive and good oral healthcare routine. Early and regular visits to the pediatric dentist will help prevent complication later in your kid’s life. Our pediatric dentist will conduct an examination and cleaning so that we can ensure that your child’s teeth are clean. We will also check for signs of tooth decay and other oral problems. A child first visit to the dentist should be enjoyable. This is why at Coral Springs Dental Center our office is designed for children with fun types of equipment to keep your children entertained while waiting to be seen. This will also help them look forward to their next appointment. If your kids are nervous or afraid to visit the dentist, don’t worry! We provide sedation services in order to help them have a better experience. 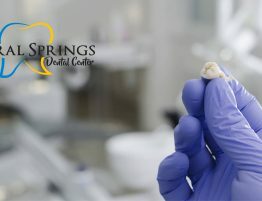 Sedation is a safe and effective technique to relax your kids through their entire dental treatment. 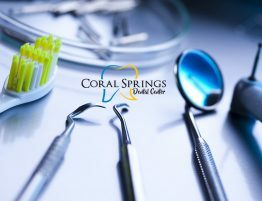 At Coral Springs Dental Center we also provide a wide range of different dental services and treatment options all under one roof. Some of these services include Pediatric Dentistry, Orthodontics, Endodontics, Sedation Dentistry, Oral Surgery, Periodontics, and Prosthodontics. We provide emergency services in case your child is ever experiencing a toothache and needs an emergency trip to the kids dentist in Coral Springs. We have also extended our business hours to accommodate our working patients in Coral Springs. 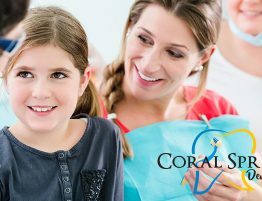 Our mission at Coral Springs Dental Center is to educate our young patients and their parents to improve their oral health. We will make sure your child gets the best possible care. Once your child’s first tooth appears, please contact us to schedule your child’s dentist appointment with the best kids dentist in Coral Springs. For additional help, call us at 954-344-8800. 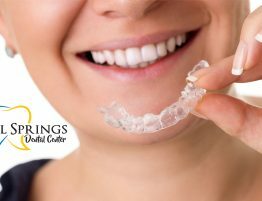 Our friendly staff at Coral Springs Dental Center will be happy to help you. 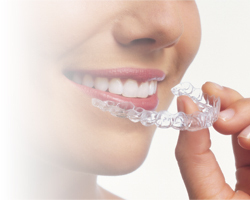 Feel free to stop by our dental office in Coral Springs. We are located at 1700 University Drive, Suite 101 Coral Springs, FL 330741. Click here to read more related articles. Also, follow us on social media including Facebook at Coral Spring Dental Center to keep up to date with us.